I read this article and found it very interesting, thought it might be something for you. 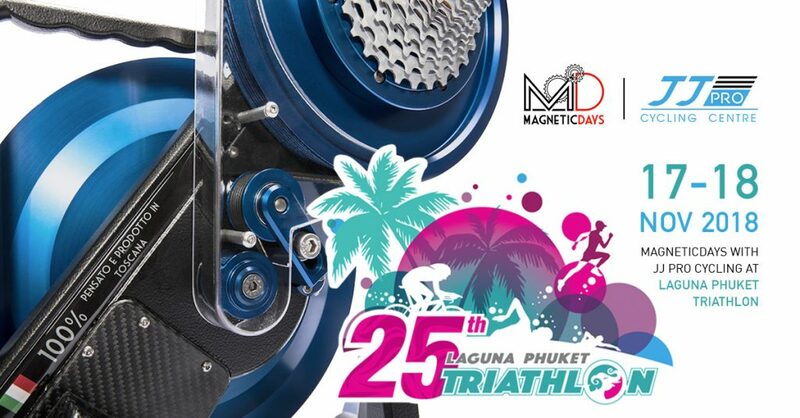 The article is called MagneticDays at Laguna Phuket Triathlon and is located at https://www.magneticdays.com/en/news-en/laguna-phuket-triathlon/. We are ready to celebrate the 25th anniversary of the Laguna Phuket Triathlon, Asia’s longest running triathlon. The event will be held on the 18th of November 2018 at Laguna Phuket, Asia’s premier destination resort. Laguna Phuket Triathlon, also know as The race of legend, is a carnival of multisport fun and tri-related activities for you to enjoy at Laguna Phuket. The event will feature the best international pro triathletes. Amateur age groupers will have a chance to measure themselves with the best in the world or simply try to achieve their own personal goals. The race will comprise of a unique 1.8km swim in two different bodies of water, a 1.3km sea swim immediately followed by a 0.5km swim in one of Laguna Phuket’s freshwater lagoons. A new and improved 50km bike course will take athletes on a scenic and challenging tour of northern Phuket with the famous Naithorn Hills as the ultimate challenge. The 12km run is a two lap course around the Laguna Phuket resort complex. This race distance is open for individual triathletes and relay teams of three.